Excite, inspire and encourage your journey of healthy and balanced living. 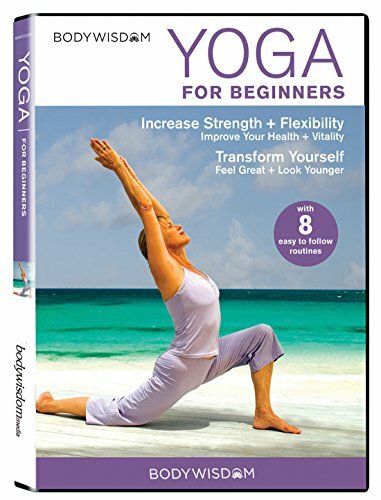 Product Description YOGA FOR BEGINNERS is the perfect way to be introduced to Yoga and it helps you to explore and experience the numerous benefits of yoga. There are 8 routines to help build strength, increase flexibility, improve your health and vitality and transform how you look and feel. Routines are led by renowned instructor Barbara Benagh who expertly leads you through tailored workouts ranging from 10 to 60 minutes. YOGA FOR BEGINNERS was filmed on location at one of the most beautiful, tranquil beaches in the world, Half-Moon Bay, Antigua, which adds to the overall experience of tranquility.